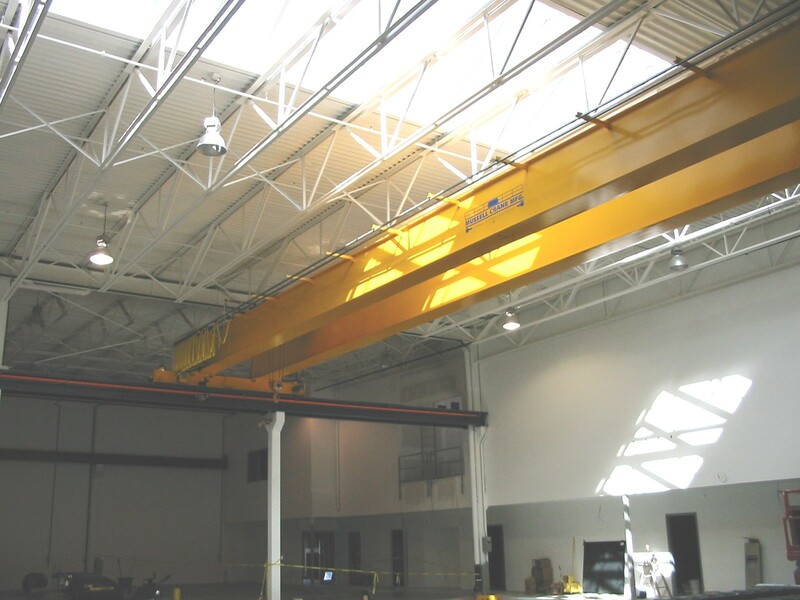 Mussell Crane Mfg. 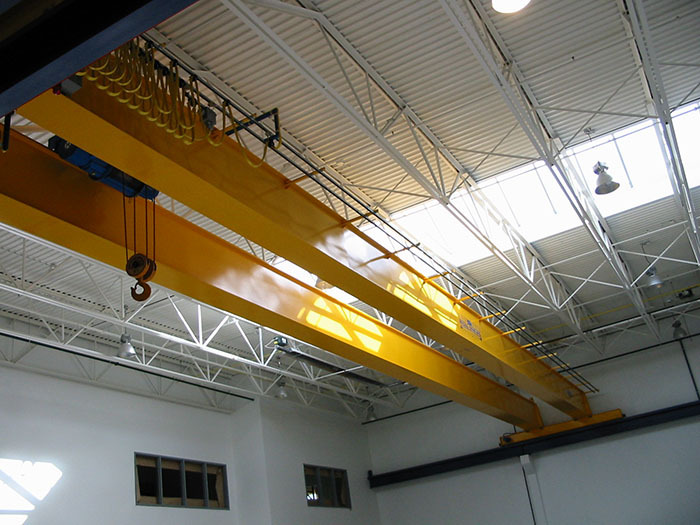 is a leading builder of customized box girder cranes for single and double girder applications. The advantage of the box girder is that it possesses greater loading capabilities and is able to span longer bridge distances. 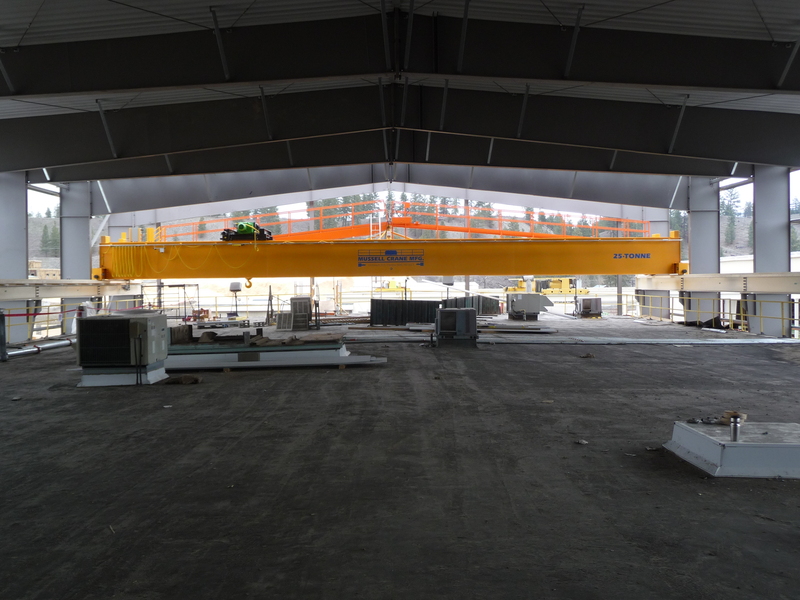 Our newest 22,000 ft2 fabrication shop houses the construction of box girder cranes. 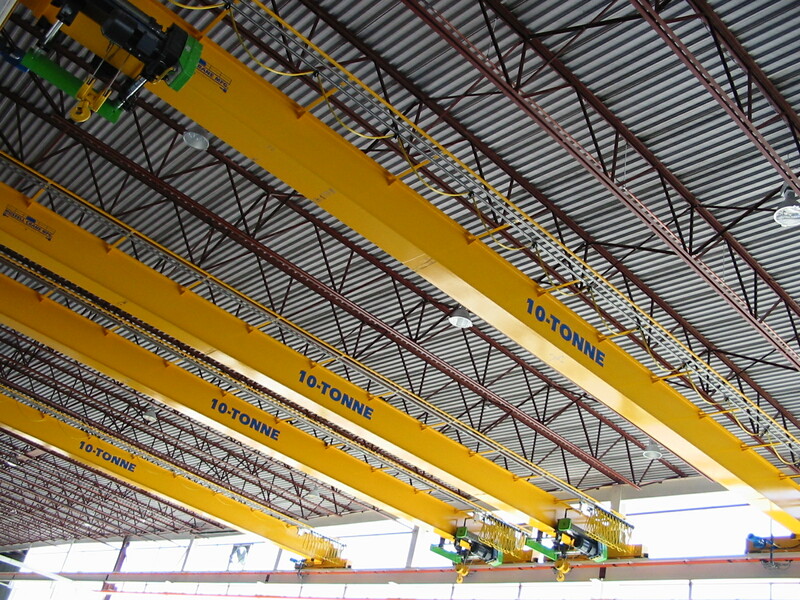 It is equipped with three 16-tonne box girder overhead cranes to facilitate the lifting & moving of steel plates used to fabricate new box girder sections. 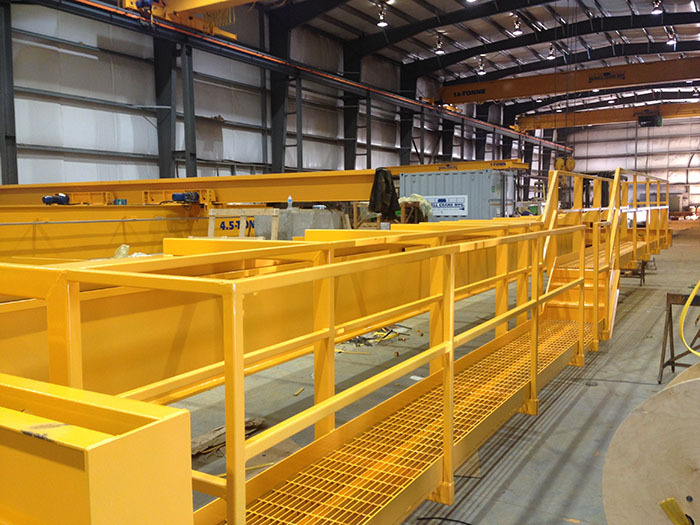 Mussell Crane's custom design single box girder overhead bridge cranes. 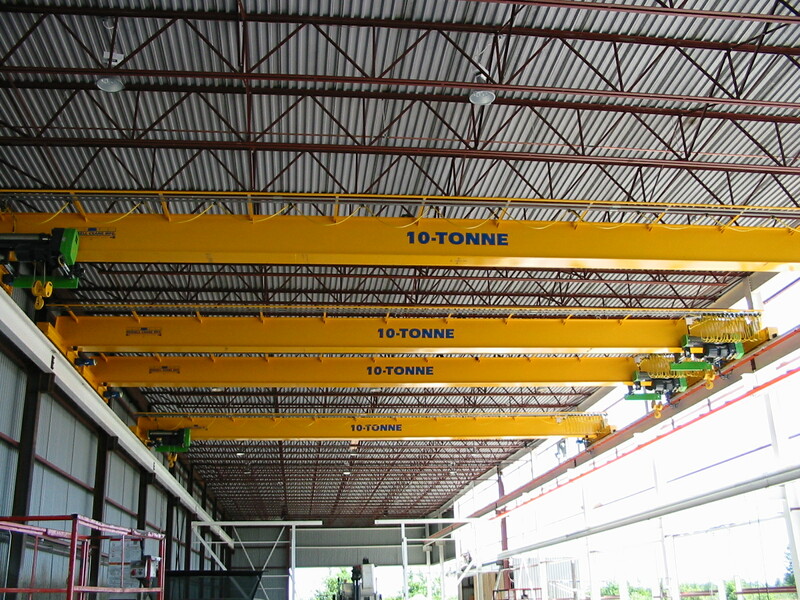 Mussell Crane's custom design double box girder overhead bridge cranes.